The new trench alongside the cup and ring marked outcrop is rapidly completed. There were no finds and no sign of any kind of structure or feature. Meanwhile, a series of quartz rich stones in the main trench have now been cleaned. 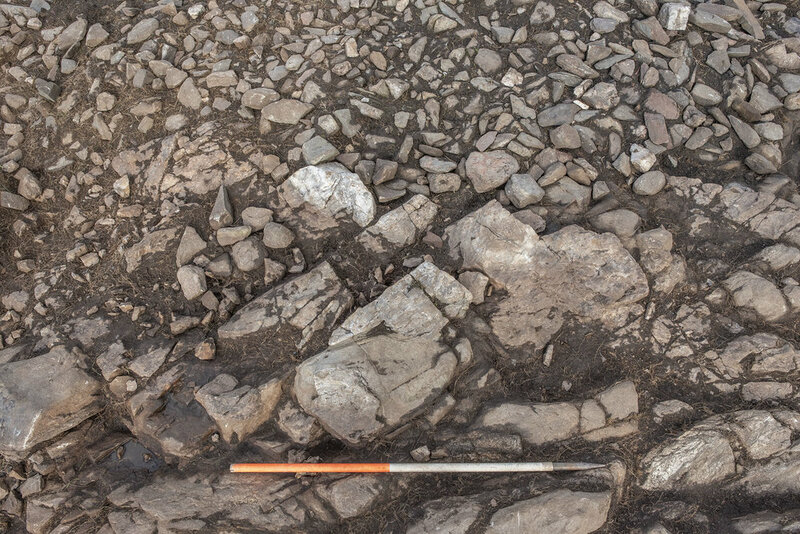 In 2017, when the trench was very small, it appeared like these might be stones set at the edge of a cairn. Now we are considering a wider area, they look increasingly like natural outcrops.